Guide a rolling ball through 105 levels. Is there a better alternative to FastBall 2? Is FastBall 2 really the best app in Action category? Will FastBall 2 work good on macOS 10.13.4? In FastBall, you control a rolling ball. In his way, there are many obstacles and his only ability is to jump. This is where he needs you, you'll make him jump by tapping your trackpad or left mouse button. With this simple mechanic, FastBall 2 contains 105 action packed levels spawned across 3 level packs. Through the levels, you'll need a good timing, pure attention as well as decisions on which path to follow to reach the level end. New 'Mastery' level pack with 15 levels, will test your earned skills to it's limits. Changed 'Failed' logo with 'Try Again' as requested. FastBall 2 needs a review. Be the first to review this app and get the discussion started! FastBall 2 needs a rating. Be the first to rate this app and get the discussion started! 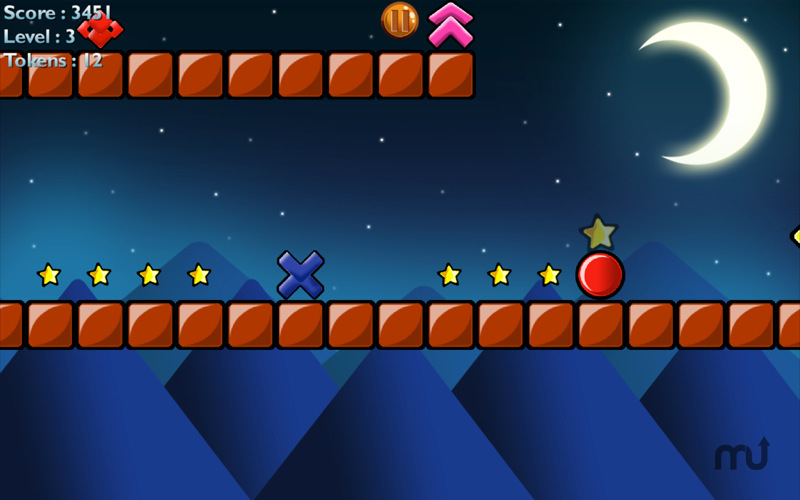 New game mechanics including speed zones, long jump blocks and direction signs. Ability to play the game in different themes as "Cartoon" and "Futuristic" with wonderful high definition graphics. 3 Difficulty modes as easy, normal and hard. If you are an expert FastBall player or looking for maximum enjoyment than hard mode is strongly suggested. Got stuck in a level? No problem, the new token feature allows you to skip any level anytime from the ingame pause menu. Tokens are earned by completing each 5 levels..
Includes catchy music and sound fx composed by industry leaders.